It isn’t always easy to increase our productivity. I can sometimes really struggle to be productive and to even get the smallest tasks ticked off my to-do list. But we all know how good it is when you have such a good productive day and end up smashing your to-do list. 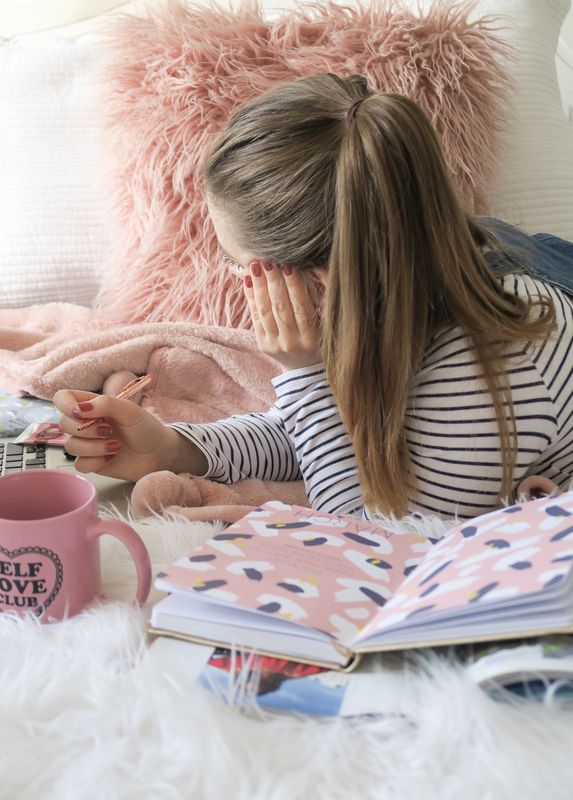 Since I’ve been working from home for a while now, I thought I would put together some of my favourite methods and tips on how to increase your productivity and therefore smash your to-do list, whether this is for any personal, blog or work-related tasks. Start the day off the right way – get up early! Somedays you just want to have an extra hour in bed and relax. There’s nothing wrong with this. I’m all for resting and recharging. Unless you’re sleeping in every single day and then getting stressed about how far behind you are with everything, then my biggest encouragement would be to start the day off the right way, get up early. It can be tough but it has so many wonderful benefits. Getting up early means you don’t have to be tight for time and can instead take care of each task without having to rush through it and instead increase your productivity. By getting up early, you’re giving yourself more control of the time that you do have and you get to decide how much time after you’ve smashed your to-do list to schedule in ‘me’ time activities like unwinding and relaxing. Getting up early can play hand in hand with getting yourself ready. You’re bound to be way more productive if you’re up early and getting ready to start the day. This might mean having a shower, grabbing some breakfast, washing your face and doing your skincare routine, doing your hair and makeup, and getting dressed into something comfortable yet proper attire for the day ahead. This can really help to increase your productivity and make you ready to tackle the day ahead because you feel more like the part and will have less temptation to laze around, not doing anything productive. I always feel refreshed and much more awake when I’ve got myself ready to start the day. This really does help me to be more productive and to have the motivation to smash my to-do list. Create your to-do list – so you can smash it! A to-do list is a great way to increase your productivity. Whether you prefer a digital version or the classic putting pen to paper, make sure your to-do list consists of achievable key goals and tasks. Prioritising your to-do list is also super important and something I definitely want to do more often. This can really help you to work on smaller goals and tasks that hold bigger importance to you depending on the deadline or how much value they hold. This could mean making an important phone call or picking up a parcel from the post office. Remember that smaller goals and tasks overtime mount up to a bigger goal. They help to keep us focused and increase our motivation. To begin with, don’t feel like you have to put every single thing on your to-do list. This will only overwhelm you and prevent you from smashing your to-do list. Plus, how satisfying is it being able to tick something off your to-do list? I’m very guilty of trying to do too many things at once and then struggling to try to manage everything because I’m not completely focused on getting one thing done at a time. If this sounds just like you, then to increase your productivity and reduce stress, focus on just one task. By doing this, you’re limiting your distractions and giving yourself the chance to work more efficiently. You can put all your attention and effort into one task, getting as much done as you want to before you move onto the next. It might feel like you won’t get as much done this way, but you will be able to work solidly through each task, ticking each task off one by one, rather than half finished jobs, that will actually be more time-consuming. How you’re working and your growth can definitely impact your productivity levels. Take some time every couple of weeks or even just once a month to sit down and reflect on how things have been working for you lately. This might include you reflect on how you’re doing currently (physically, emotionally, mentally), what’s working and what’s not working in your everyday life (things that may be stopping you from being productive), how you’re getting on with any goals or plans you might have, putting new plans and goals into place to ensure you’re taking better care and to increase your overall productivity. I’ve found it so useful to reflect each month so far this year and it’s definitely helped me to work harder to increase my productivity and therefore produce the results that I want. It can also help you to get back on track and smash your to-do list more often than not. All of us are different. Some people enjoy getting up early and using the morning to be their most productive. Others enjoy taking the afternoon or evening to work through their to-do list. I’m a mixture because for me it depends on what I have going on that day or how I’m feeling. Figuring out when you are most productive and more likely to get things done, can help you to focus better and achieve more. It’s always good to do the most important tasks when you’re feeling more productive as you will be able to put your all into each task. I’m definitely someone who tends to put off the more difficult tasks because they feel overwhelmed or too challenging. But once I do them I always feel such a strong sense of achievement for managing to do it. Isn’t it a massive relief once you’ve ticked off that challenging task? If you do the difficuilt tasks first, you can earn the reward of accomplishing something big. Then you can use the motivation and good energy you get from doing this to push you to get more done, helping to increase your producitivty levels and to smash your to-do list. Thanks for sharing these great tips with us. Thanks for sharing these great tips with us all. There is nothing that I love more than ticking something off my to-do list! I’ve found getting up early can make such a difference to my productivity, its amazing. Also, I’m so bad at trying to juggle tasks and really need to learn to take one thing at a time – one to practice! I love these tips, especially the one about getting ready for the day. I always feel like if I change out of my pyjamas and slap on a little bit of makeup, I’m suddenly a hundred times more productive! I so needed this! I’ve just quit my job and will soon be working from home. I know I’ll absolutely smash my new job but I’m worried that I’ll forget how to shower or wear clothes or that I’ll work from when i wake up to when I go to bed! Getting up early and creating a to-do list are my absolute go to’s if I want to have a productive day! Loved the post! I’ve always been a night owl but since I’m still in school it didn’t work as I had to get up early every morning. Now I get up at 6:30 every morning so I have a few hours until school starts to catch up on homework or work on blog stuff. I definitely need to start reflecting on my progress more, because it’s so easy to brush over your achievements! Awesome tips, I agree with all of these! I can be guilty of staying in my pajamas all day when I have no where to planned to go. However, even if I’m not leaving the house that day, I feel soooooo much more motivated when I’m all dressed and ready for the day. Even if I end up accomplishing just as much that day, it really does lift your spirits when you’re not just hanging around in your pj’s. I have to get up early for work, but even on the weekends or days off I prefer to get up early and smash things out and then maybe have a cheeky nap in the afternoon!